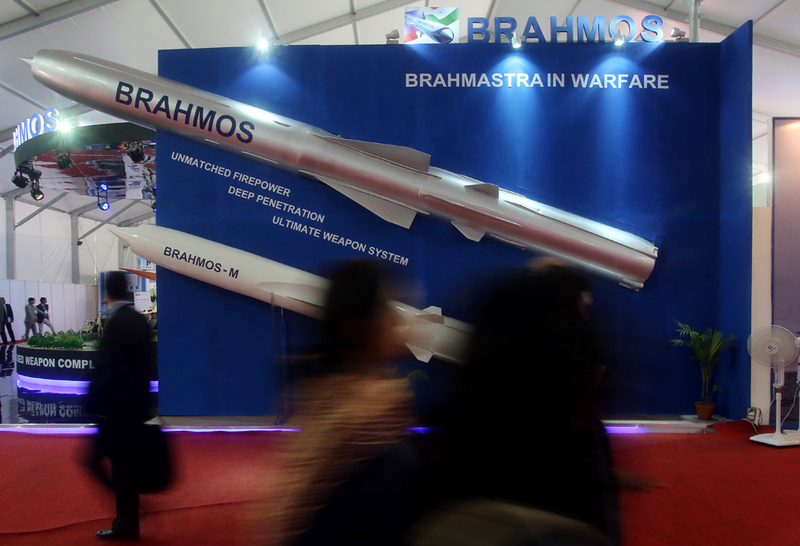 BrahMos Aerospace persuaded a number of private Indian companies to become subcontractors. Having helped lay the foundations of modern India’s State-owned defence industry in the 1960s, Russian weapon manufacturers are entering into fruitful partnerships with India’s blue chip private sector companies. When Russia offered full transfer of technology and rights for local assembly of the MiG-21 interceptor in India in 1966, it was the first such deal between a developed country and a developing one. With Moscow supplying the jet’s entire production facility, the MiG-21 formed the nucleus of India’s military industrial complex. From its factories in Koraput and Kanpur, Hindustan Aeronautics Ltd built 657 of these hardy jet fighters over the next 40 years. Licensed production of weapons was the monopoly of government owned companies like HAL. And like all monopolies, HAL often messed up. Some of the blame must go to the defence brass and politicians who connived to scuttle indigenous weapons in order to take kickbacks from foreign manufacturers. But HAL isn’t blameless – it would often give unrealistic deadlines or lower cost estimates and, with exceptions, inevitably fail to deliver a world class weapon. India’s defence manufacturing landscape is, however, changing with the private sector stepping in. Private sector companies were initially reluctant to work for the government because there was no guarantee the weapons they were subcontracting for would be purchased by the armed forces. In most cases they were right as India’s defence industry has a history of cancelled weapons. The private sector was therefore reluctant to invest in defence. The game changer was BrahMos Aerospace– the Indo-Russian missile joint venture – which persuaded a number of private Indian companies to become subcontractors. Among the first off the blocks was Godrej Aerospace, a subsidiary of the 199 year old Godrej conglomerate. It became a key contractor, manufacturing airframes for the supersonic BrahMos missile. The Mumbai-based company’s association with the missile project started with the signing of a MoU between BrahMos, Defence Research & Development Laboratory (DRDL) and Godrej in August 2000. Initially, in January 2001, Godrej was awarded an order that included the supply of the airframe section plus wings, fins, nose‐caps and nose‐cap motors. Making these complex, precision components robust enough to function at supersonic speeds required Godrej to understand 1200 Russian drawings, 2500 Russian manufacturing standards, 25 various types of metallurgies and acquire 25 specialised technologies provided by Russian missile maker NPO Mashinostroyeniya. Under the programme, Godrej Aerospace has designed and developed 5000 process sheets for various manufacturing processes, inspection and quality assurance. More than 2000 tools, jigs and fixtures were developed and qualified for the final desired output. India cleared the purchase of the S-400 air defence missile for $4.5 billion in December 2015. A week later, Reliance Defence signed an agreement with Russia’s AlmazAntey, manufacturer of the S-400, to jointly develop and maintain a variety of weapons for India’s military. TOR-1M missiles, radars and automated control systems come under the scope of the deal. Interestingly, Reliance Defence is a complete newcomer with zero experience in the defence industry. Despite this, the Anil Ambani-owned company has received approval for 12 industrial licences for manufacturing aircraft, helicopters, unmanned aerial vehicles, all-terrain combat vehicles, night-vision devices, sensors, navigation and surveillance equipment, propulsion systems and simulators. In this backdrop, the deal with Almaz-Antey looks like Reliance’s attempt to forge close ties with Russia to jumpstart its ambitions to develop a defence business from scratch. The company also plans to bid for contracts for local manufacture of helicopters, submarines and ships. High octane defence deals are often the most exciting part of India-Russia summits. Not surprisingly, global attention was focussed on the S-400 missile defence system and the PAK-FA stealth fighter when Prime Minister Narendra Modi visited Moscow in December. However, if India ever goes to war, the first strikes may be launched from the Krivak III (Talwar) class stealth frigates. The Russian military establishment has chosen Anil Ambani’s Pipavav Shipyard to build three to four Talwar-class frigates (Project 11345) for the Indian Navy. The shipyard has received an official letter confirming the partnership from Alexander Fomin, Director of the Federal Service for Military-Technical Cooperation (FSMTC). The order could be worth in excess of $3 billion, making it the Indian private sector's biggest-ever warship-building project. India has already bought six Russian-built Talwar class frigates, the last of which was delivered in 2013. “We are ready to transfer technology to ensure the construction of these ships in India. The new ships that will be built will be different and more modern than the Talwar class that have been delivered," says Alexi Dikiy, director for military technical cooperation at USC. More importantly, we are witnessing the fusion of made in India warships and made in India missiles. Defense Industry Daily (DID) says the latest Talwar frigates are fitted for eight supersonic BrahMos anti-ship missiles. They will be also equipped with a Russian 100mm gun, a Shtil air defence system (upgraded SA-N-7), 2 Kashtan SA-N-11 air defence gun/missile systems, four 533mm torpedo tubes, and a Ka-28 anti-submarine warfare helicopter. The Talwar class frigates will play a key role in India’s Maritime Strategy 2015 that aims to dominate the blue waters and strike on land. For decades India has wanted to dominate the Indian Ocean but lacked the capability. The new strategy – backed by a 200-ship fleet – is to project sea power not just into the Indian Ocean but the Pacific as well. As India’s turbocharged economy grows, its military is being upsized to keep in step. With the country’s political leadership having shed its decades long – and short sighted – Gandhian policy of treating weapons with a mixture of contempt and shame, India is no longer shy of manufacturing and exporting high-octane defence hardware. These are exciting times for India’s private sector defence companies and Russia has got off to a strong start by finding well-connected partners for joint ventures.